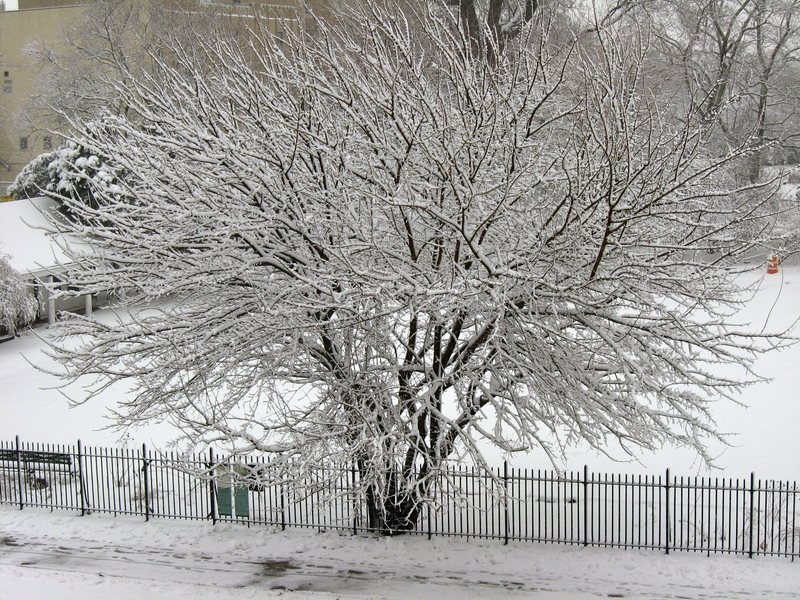 The photos of the tree at the beginning of this post were taken by the author from my dining room window on Caton Avenue in Brooklyn, 11218. 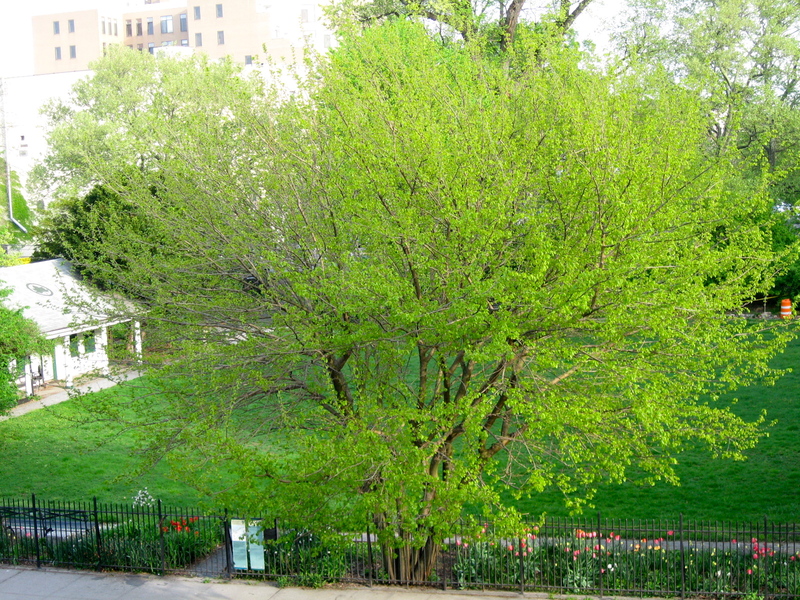 The tree is in the Bowling Green of the Prospect Park Parade Grounds. 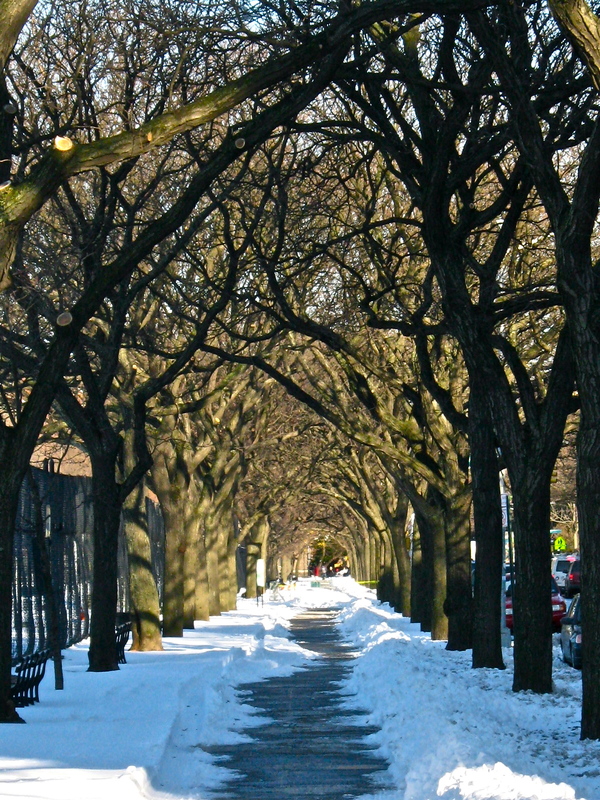 The photos of the trees forming an arch over the sidewalk were taken by the author at the Prospect Park Parade Grounds, Caton Avenue sidewalk, 11218. Trees have so much to tell us about life. Your photos were wonderful. 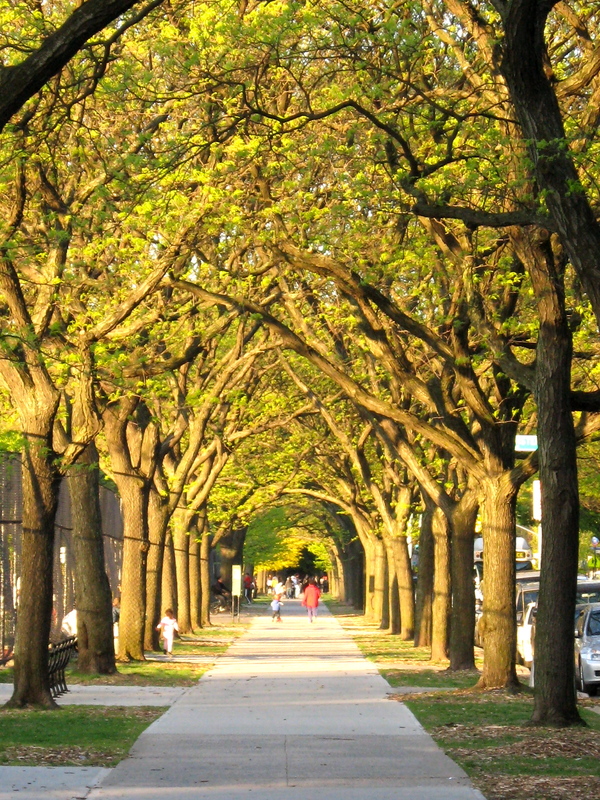 I would love to walk along that path where the branches look like linked hands. Lovely! Selma, Thank you as always for your thoughts. It’s quite nice living next to a park. 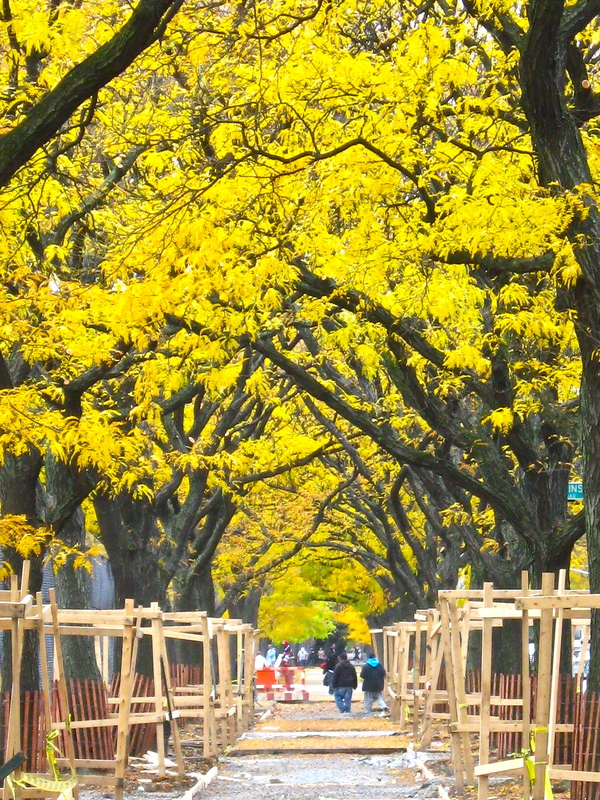 Many hours of enjoyment with the seasons. I have some more photos to put up… got a great one a hungry squirrel during my son’s baseball practice last week. Then there’s trying to get back more posting (darn job)… be well, write well, cheers! ps. I miss you too!